There are times in sport when the reward of participating in a hard-fought contest goes well beyond who wins or loses. The prize won is a deep sense of personal fulfillment based on the knowledge that you prepared and played to the best of your ability. I learned this lesson at an early age when I played my good friend (also named Jeff) for our town’s youth badminton championship. In our age group, Jeff was probably the town’s best athlete, talented in all sports. Although not as athletic or physically mature as Jeff, my ability was close to his. the quality of our play seemed to continually reach new heights. We each ran down the other’s shot, making one outstanding save after another. We split the first two games, and took turns winning points well into the deciding game. But in the end, Jeff made one or two better plays to claim the championship. 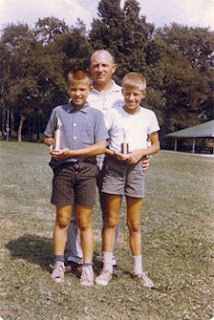 As the town’s recreation supervisor presented us with our trophies, he told us that he had never seen a better competition at our age. Both Jeff and I knew how well we had played - and how each of us had brought out the best in the other. Even years later, when I came to have an edge on Jeff in high school athletics, we occasionally made reference to that special, fulfilling moment when we were young boys. If you only equate success in sports to winning, and base your self-esteem on this value, you will inevitably sacrifice the greater rewards that come from playing sports. Striving to win is important—it’s the ultimate real world measure of your preparation and play. But if you see winning and losing only in absolute terms, and not relative to you and your team’s quality of play and effort, you will lose out on countless moments of joy that sports can provide. Everybody likes to win, and you should try your best to achieve this result. But sometimes being part of a great contest, or performing to the best of your abilities, is deeply satisfying in and of itself. Jeffrey's argument is of course spot-on. Basing our self-esteem, our sense of self-worth, upon something as extrinsic as winning a game is problematic. But I would take Jeff's point a step or two further. Children develop, based upon their experiences and upon other neurological considerations, intricate and complex psychic maps. These maps, or pathologies, dictate how children respond to various stimuli. For example, a child who grows up in an unpredictable environment may develop ways of seeing the world that are rigid and dogmatic. If this youngster does not have the good fortune, as he grows older, to have his maps--- his perceptions---challenged by caring and compassion adults in his life, he may come to believe that his view of things, no matter how inconsistent with reality, is the only possible truth. Young athletes whose self-esteem is measured in pats-on-the-back and trophies and league championships need to have those perceptions challenged by the adults in their lives. Yes, winning can be awesome; and yes, in the competitive arena, successful coaches use the goal of winning as a platform upon which they build an experience that teaches myriad life skills for their players. But coaches also need to recognize that each child whom they coach brings a unique set of experiences, and thus a unique set of perceptions and beliefs, with them to the endeavor. And each child will respond differently to the coach's incitements and teachings, and to the competitive experience. I believe that the compassionate youth coach helps his players navigate their way through whatever false or negative perceptions---perceptions about winning and about self-esteem, for example---they may possess, and that the truly successful coach does so in a manner that honors and elucidates for each child his or her intrinsic value and worth.